She climbs up the monkey ladder and reaches the top. She moves forward with a bottle in her hand and balances herself precariously between the rods. Then, gently empties water in the bird bath. Next, she climbs up again with a handful of millets and scatters the grain on a stone slab which serves as food table for birds. While descending, a squirrel’s call gets her attention and she spots one in the Mango tree. 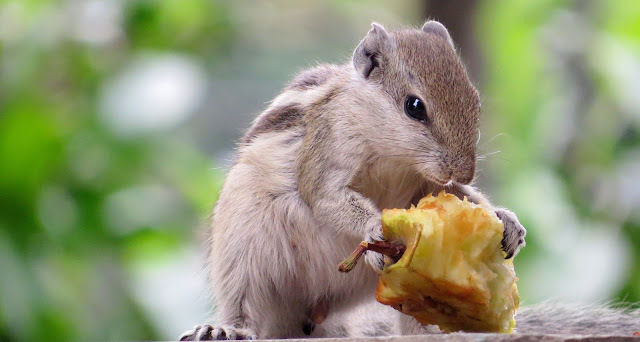 She looks up and gestures, seems, some kind of communication has taken place between the two….she opens the refrigerator and takes out an apple and cuts it into half, and places it on the slab. She hides behind the door. Soon a squirrel scampers down and starts nibbling the piece. My daughter smiles. Oven timer tinkles. 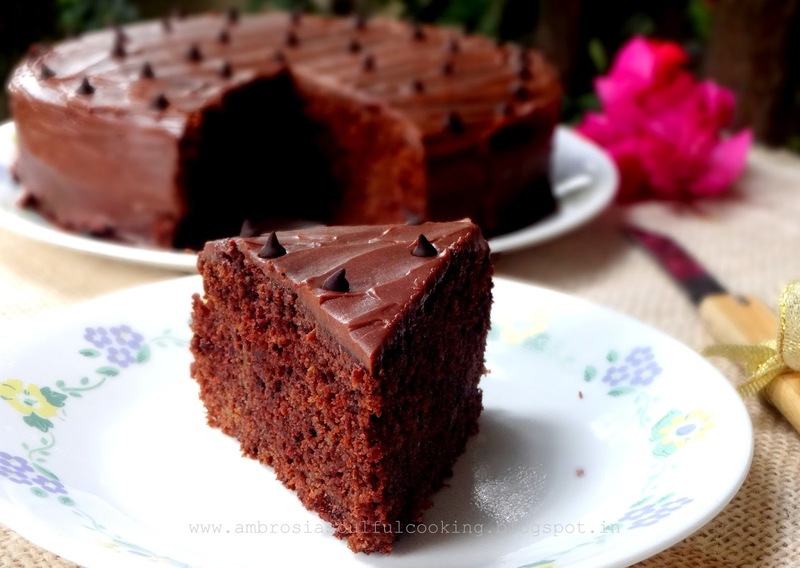 We check cake for doneness. A vegan Chocolate Orange Cake is out of the oven. It’s my daughter’s birthday. She wanted a vegan cake. The cake is cooling on the rack. She plans to dress it up with ganache and sprinkle some chocolate chips on top. An ardent animal lover to the core, she keeps one slice each for the cat and the dog. Fresh Orange juice, zest and marmalade do magic in the cake. 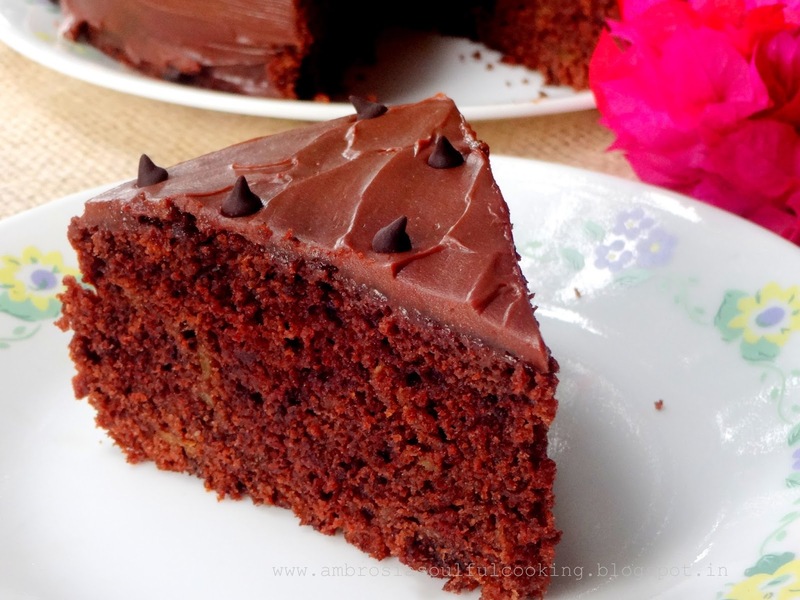 The cake is whole grain, low fat and delicious. Finely grated zest of two oranges or two tablespoons candied peels. Grease the sides and line the bottom of one 8 inch round cake pan. Mix the remaining ingredients in another large bowl. Add dry ingredients to wet ingredients. Mix till combined. Pour into the prepared pan. Bake for 35-40 minutes or till a toothpick inserted in the center comes out clean. Invert on the rack and cool. and sprinkle some chocolate chips. 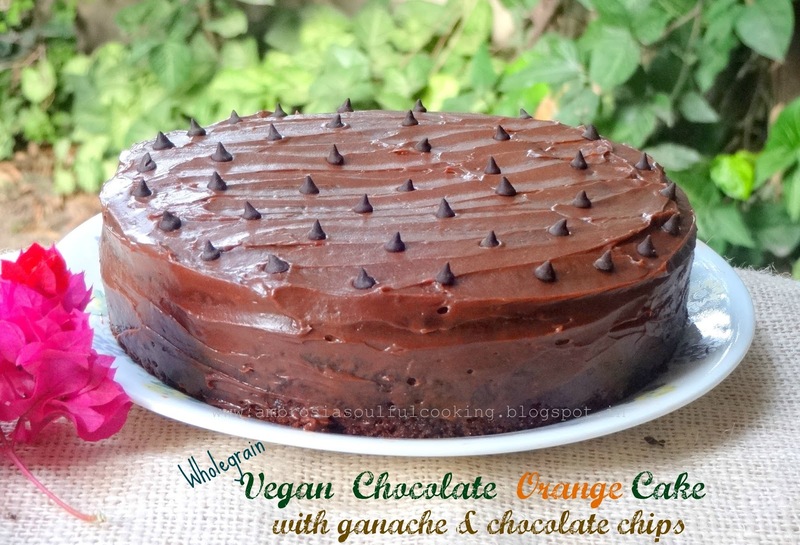 Hi Namita, I tried your orange vegan cake and it tasted awesome.The only thing I couldn't add was the orange zest,as I was not able to get it off the orange. Can you suggest an alternative to that? I am just a beginner and eagerly wait for your posts. This time I was waiting for a chocolate version of that cake and here it is!! Will try and give feedback again but plz suggest some replacement for the zest. Thank you. Hello Navita, Firstly, oranges are sprayed with pesticides. It is important to wash the fruit with salt. If possible, use local citrus. And you may grate the rind with a grater or use a peeler to get strips of peel. Cut it further with scissors to get fine strips. Happy birthday to the little cutie! May God shower his choicest blessings on her. The birthday cake looks very inviting. I enjoy your blog and trying out new recipes from it. All the cakes I have made have been a huge hit with my family and friends. have been a super hit with my family. It is always a pleasure to hear from you. Thank you for your good wishes. Hope you will try out this one and love it. God bless your lovely daughter! I am warmed by her love for animals. Happy birthday dear. Will try the cake for sure. Hello Preetha, Thank you for your good wishes and kind words. 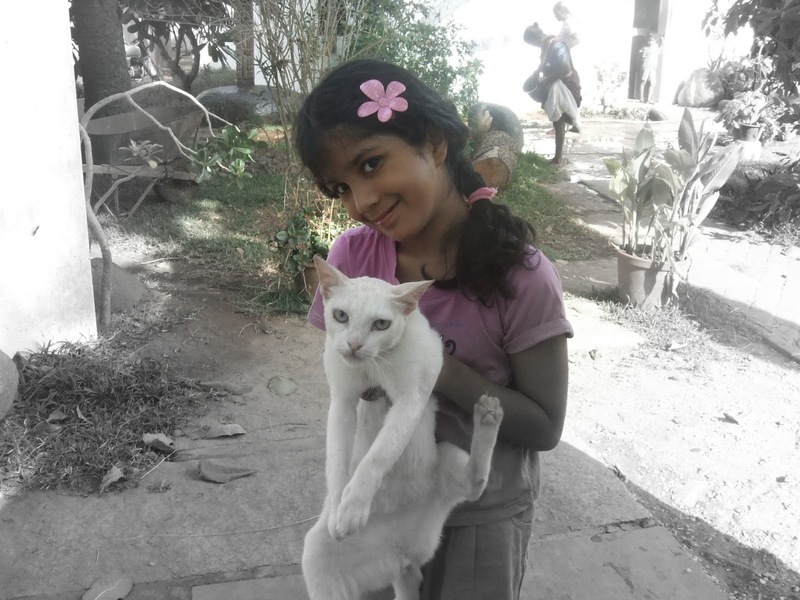 Animal love should be instilled in kids right from the young age. It makes them sensitive, caring and responsible. 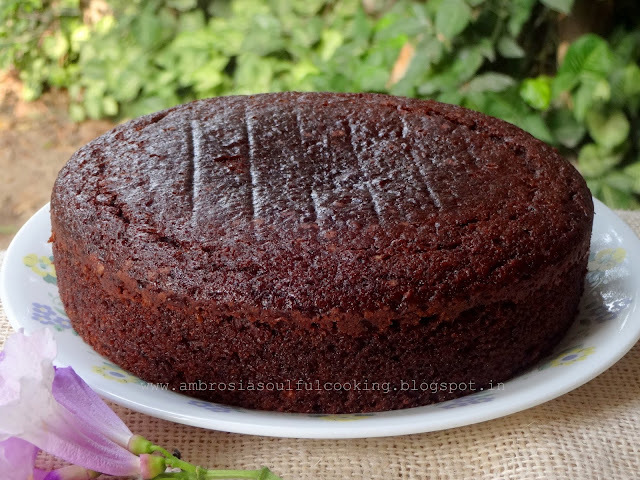 You will love this cake for its simplicity and deliciousness. Happy Baking Preetha. Very happy birthday to your beautiful and compassionate daughter. May she be blessed with lifelong health and happiness! Orange cake looks wonderful. Have you tried virgin coconut oil for baking which gives a rich flavour. May I also suggest cashew cream for a great vegan ganache. Hello Madhu, Thank You for your good wishes...so sweet of you Madhu! I am yet to try coconut oil for baking.And your idea of cashew cream sounds great. Perhaps I will try it out in my next bake! Nice recipe. Thanks for sharing .Can you suggest any replacement for orange juice ?